Welcome to CR Morrow Limited, a family business specialising in selling new cars, used cars, agricultural machinery as well as providing parts and car servicing in Newry, County Down. Our cars sales and agricultural sales business was established in 1952 by Mr. CR Morrow and has now grown into a multi-franchise company representing new and used Hyundai cars, new and used Vauxhall cars as well as approved service and parts centers for both Hyundai and Vauxhall. Our agricultural business supplies agricultural machinery from engineering companies like Redrock, Watson, Malone, and Amazone. We have represented Vauxhall since 1988. Our new Vauxhall cars are technologically advanced and as a result, our showroom, sales staff, and workshop are state of the art offering a fantastic car buying experience and car ownership. Browse our new car and new SUV range Viva, Corsa, Meriva, Adam, Astra, Crossland X, Mokka X, Grandland X and Insignia Grand Sport. In 2009 we proudly began to represent Hyundai. This forward-thinking global company has grown exponentially, particularly in the last 4 years bringing out some excellent SUV’s such as the Tucson and the new KONA. 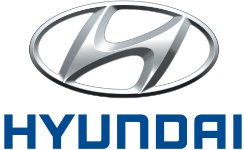 The Hyundai brand is now the 3rd biggest selling brand in Northern Ireland and the Tucson SUV is the best-selling SUV in the province. Our Motability service is second to none. With a host of awards, our dedicated Motability Specialist is on hand to offer up to the minute advice and help to ensure you pick a fantastic new car on the Motability Scheme. All of our Motability cars come with low advance payments, automatic or manual, SUV or hatchback, diesel or petrol. Our Motability cars offer freedom to those on the higher rate disabled living allowance. The Motability scheme covers servicing and insurance so all you have to worry about is picking the right car and the right colour! Our recently opened Auto Centre is a used car site offering every type of used car and van from used Audi, used BMW, used Citroen, used Ford, used Kia, used Mazda, used Renault, used Volkswagen, used Mercedes Benz, used Nissan, used Peugeot, to used Volvo. Our used cars come with a used car warranty, used car finance, trade in welcome and a peace of mind used car mechanical check. We have over 100 used cars in stock and serve the local community in Newry, Kilkeel, and Banbridge plus we also display our cars on Autotrader and Used Cars Ni. We have some of the cheapest cars for sale and we often receive used car inquiries from Belfast, Portadown, Dungannon, Tyrone, Armagh and Enniskillen proving that our used cars are worth traveling to Newry for! Our used car experts are on hand to show you the many benefits of purchasing a used car from CR Morrow. Why not follow us on Facebook, Twitter or Instagram for the latest news, latest used car arrivals and fantastic used car offers. Situated just off the A1 10 minutes South of Banbridge we are easily accessible from Lisburn, Portadown, Dromore, Banbridge and Kilkeel. A major advantage also with our situation is that we are the first stop for Republic of Ireland buyers seeking a great value used car in Northern Ireland. We have a host of used Hyundai cars, used Vauxhall cars and much more marque's to choose from. Our Service department also offers excellent value to euro customers with our fixed price car service menu.